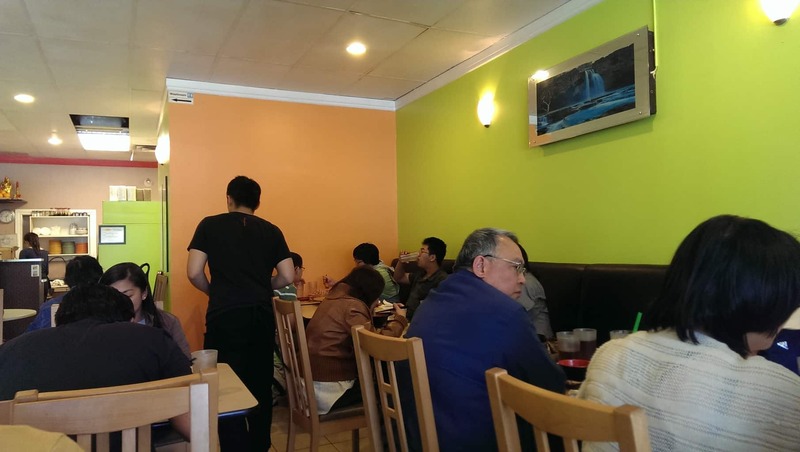 Malaysian restaurants are extremely rare in Calgary. 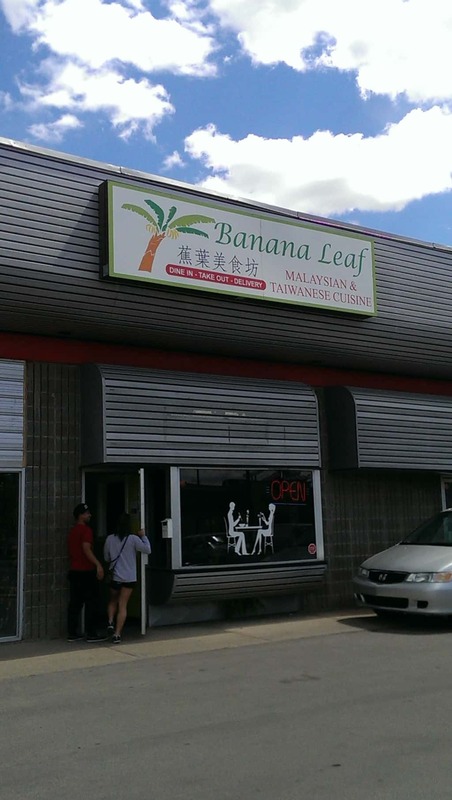 I was deliriously happy when I found Banana Leaf’s existence. Now whenever I miss home (technically, my second home), we can drive to Banana Leaf and treat my nostalgia. Malaysia is one of the most culturally diverse countries. Greatly influenced by Malay, Indian and Chinese cultures, Malaysian cuisine is nothing but diverse and rich in flavors. 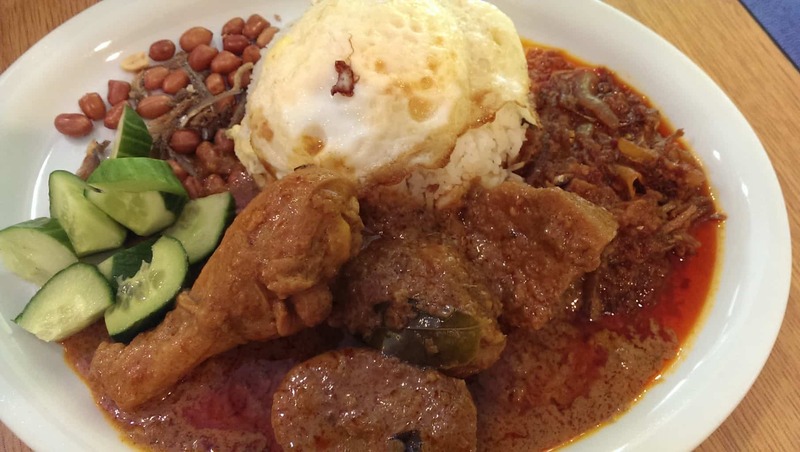 If you have an adventurous palate, you certainly cannot miss Malaysian food. Okay, back to Banana Leaf. Our first visit was a failed attempt. They ran out of rice so they closed early. Fortunately, we made it on our second visit and we were super lucky to grab the last table available at peak hours. The restaurant was fully packed. All the tables were uncomfortably close to each other in such a tiny space. Kev loves nasi lemak (a dish with its roots in Malay culture). He was willing to withstand the spiciness just to have a bite of it. It was served with coconut rice, curry chicken, spicy sambal, fried anchovies, peanuts, pan fried egg and cucumber. The portion was huge. Half of the plate was filled with the horrifyingly red, spicy sambal sauce. It was very spicy, but the strong, pungent flavor from the shrimp paste tasted delicious with the fragrant coconut rice. The chicken was cooked to a perfect tenderness. When your mouth is burning with fire, a bite of the cucumber helps tone down the heat. Kev was sweating like a pig and chugging his glass of water every other minute but he LOVED IT! 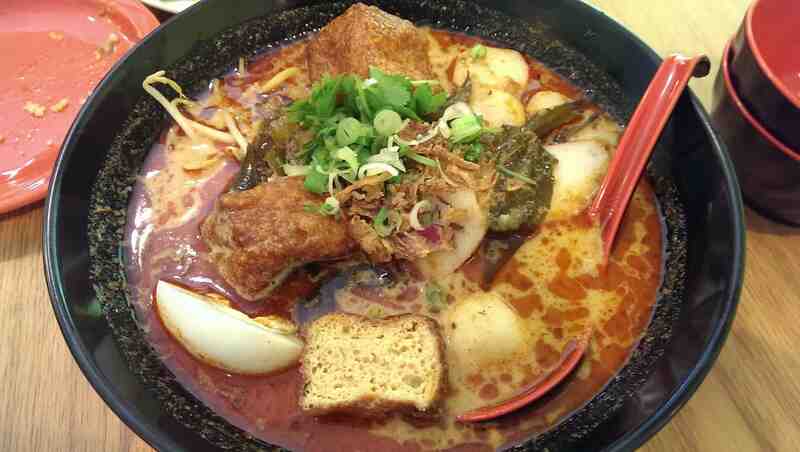 I ordered the fish ball curry laksa ($9.50), a combination of Chinese and Malaysian cuisine. This dish gave me a completely different laksa experience than the one I had back in Penang. Unlike Penang Laksa (which is made with mackerel soup and had a distinct sour taste), curry laksa is made with rich coconut-based curry soup. It was served with ingredients such as hard boiled eggs, bean curd puffs, fish balls and bean sprouts, sprinkled with fried shallots, green onion and cilantro. The creamy soup base was sweet and spicy. It was such a flavorful dish. Excellent! Roti canai ($3.95) is my favorite breakfast in Malaysia. 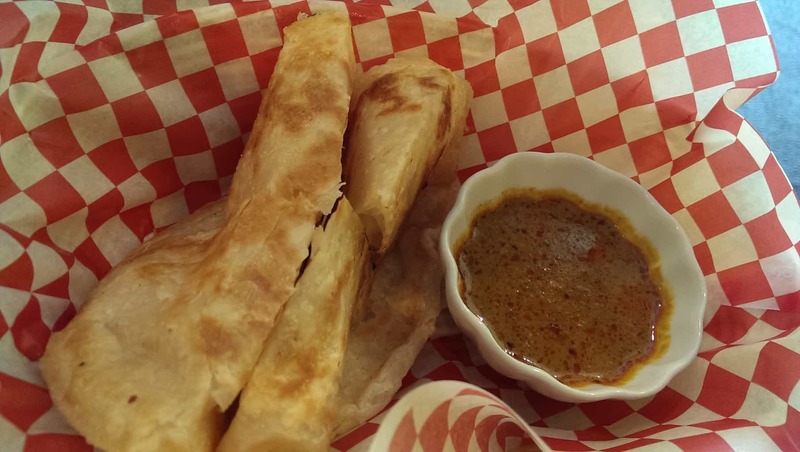 It is an Indian-influenced flatbread, served with potato curry. This rich, buttery, sweet taste… oh, is exactly the same from my childhood memory. Note: I’m bringing this post to Fiesta Friday! Big thanks to Angie from the Novice Gardener and to our co-hosts. All these dishes look so amazing. Thanks for sharing with us at Fiesta Friday! Wow, they look so delicious and I can’t imagine how pretty inexpensive the prices are. Great find in Calgary! Thanks! I know, it is rare to find such a great restaurants in Calgary serving cheap, delicious food. It’s always wonderful when you can have a dish that reminds you of home. I hope you get to visit home soon so you can recharge!